Gloomy media reports of recent cancer statistics are aimed at driving policy, but do the headlines also fuel apathy? Want to know how to keep your gut healthy? Introducing The Healthy Gut Guide. Simple ways to keep your GI system working the way it should. Join us for "Living Well with CML 2017"! 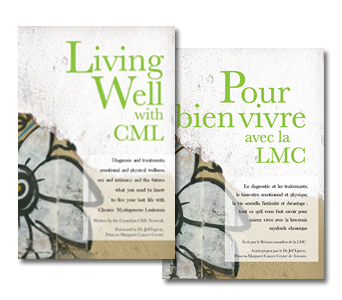 What does it take to live your best life with CML? Does our childhood determine how we manage a cancer diagnosis? Saying thank you to drug access navigators. We are so grateful for all you do. Sue Martin, a caregiver, shares her thoughts on life after a stem cell transplant. I have been thinking a lot about a story written a couple of months ago by the Globe and Mail’s André Picard. Hello everyone! It has been awhile since my last blog post. A thousand apologies!